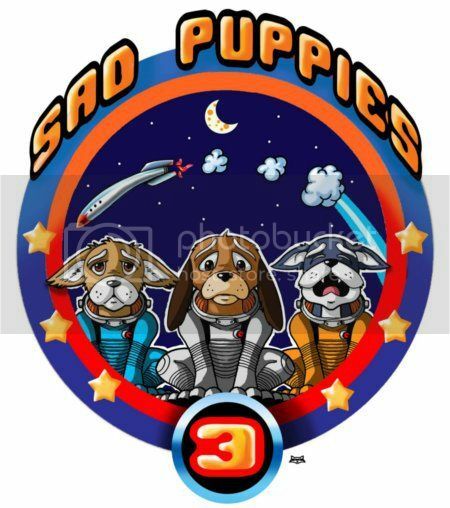 I am on the Sad Puppies slate for “Best Fan Writer”! Well, it was quite a surprise to see my name turn up on the infamous Sad Puppies slate and on Brad Torgersen’s, Larry Correia’s, Vox Day’s, and John C. Wright’s blogs. Of course, I only just found out what a “best fan writer” is. I was writing mostly about games and game design early last year. I covered Lewis Pulsipher’s game design materials in depth and broke a relatively big story on Volko Rhunke’s and Mark Herman’s new Vietnam themed COIN series game. It wasn’t until I started reviewing Hugo nominated authors one after another that I got the idea to start writing for Castalia House. This has been really fun. Hopefully it’s been a good read for those that have been following along. The really wild thing is ending up being the guy that is getting a modest number of people hooked on quintessential books like ones by Jack Vance, Robert E. Howard, A. Merritt, and more. Their works really shouldn’t be as esoteric as they are, but I really get a charge out of hearing how much people enjoy reading them. And even after all of these retrospectives, I’ve only scratched the surface…. These next few posts are from this year, and I presume are out of consideration… but don’t let that stop you from reading them! You can also catch me talking games on Google+. Over on Recommend you can find me reviewing classic Star Trek episodes and whatever else I get into. Congrats on your nomination! Anything we plebs can do to help you take home a little rocket ship? I can’t imagine actually getting an actual Hugo Award nomination. I’m pretty sure this is as far as my entry will go. However, for the people that see this ballot that are presently going “Jeff Who? !”, I sure wouldn’t mind if they knew where to find the posts that got my name thrown into the hat. By all means, link to this post (and others like it) on your social media so that people can see what all the fuss is about…! Unfortunately, my social media reach is limited to Cirsova and Cirsova alone, but you can bet I’ll give you a plug here in the next day or so. Best of luck!